In this interview Russell Price speaks with Shalen Sehgal, MD of Crises Control, on the critical importance of Business Continuity and Crisis Management to Small and Medium Enterprises and the role of standards in helping them compete and succeed in today's markets. Standards can sometimes be intimidating or thought to be only appropriate for big business. In this video Russell explains why this view is wrong and how SME's can lever their size and agility to develop good plans and compete more effectively in their markets. 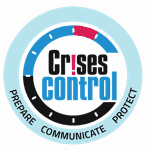 Meet the Crisis Experts - Episode 3 - Standards & Plans with Crises Control and Russell Price. For more information please contact on how Standards can help organizations develop their risk and resilience planning contact us directly. To see more from the 'Meet the Experts' series from Crises Control click HERE! Ahead of the next meeting of the ISO Technical Committee for Information Security responsible for the development of the international standard for Cyber Insurance (27102) in Tel Aviv in April a meeting was held in London on 8th February to discuss the concerns and possible solutions as part of the Public Consultation phase of the standards development. Those attending the session represented a diverse group of stakeholders from across the Insurance Sector and included a number of significant endusers. Ahead of this meeting over 50 other stakeholders, representing a more diverse base of stakeholders, also provided feedback on the proposal for a cyber insurance standard. During these discussions the overwhelming majority felt that the standard was currently not appropriate and rather duplicated guidance already available in the market. Further, the consensus was that the structure of the documents did not help either the user or the insurance sector. The group also strongly felt that there was too little practical advice for users on the insurance aspects that need to be considered and how best to engage and align their operations to optimise the benefits insurance can bring. However, as the meeting developed it become clear that there was a way forward that could, if adopted by ISO, address the concerns and provide a powerful tool for users and the insurance sector to enhance and improve the efficiency of the process, improving the value for all. In the next week or so the UK will be submitting comments and our recommendations to ISO for consideration in Tel Aviv. We are hopeful that the recommendations will be received positively, as they directly address the needs of the market and support the wider work of the ISO Committee responsible for Information Security. Critically, the recommendations to be submitted also directly address the concerns of the insurance sector and have garnered strong support from those active across the sector. By altering some aspects of the scope, revising certain sections and focusing on a more evolved set of outcomes this standard could end up driving considerable growth in the sector while also improving the quality and capabilities of Cyber Risk Management. If you would like to know more please do get in touch with me at russell.price@continuityforum.org. International Standards Organization (ISO) and its' technical committee for Information Security has been developing a new Cyber Insurance standard to help organizations better understand their exposure and identify how they might use Cyber Insurance as part of their Information Security and Risk Management activity. This standard (ISO 27102) is part of the ISO 27000 family is now entering the consultation phase ahead of final publication. The BS 65000 standard offers guidance on how organizational resilience can be enhanced through connecting the strategic goals of the business with wider thinking on the processes and resources that deliver value enhancing capabilities. Department of Business, Innovation & Skills Minister, Right Hon David Willetts MP, has announced the certification framework for Cyber Essentials, the governments new initiative aimed at creating a minimum expected capability for cyber security. As part of the UK government's long-term strategy to address the increasing threats around cyber risk HMG has announced its Cyber Essentials Scheme. The scheme identifies and focuses on five principal areas that businesses of all types and sizes must consider as "the essential" foundation of their cyber security. This is a short introduction to the world of Standards outlining how they are developed. A standard is a document defining best practice, established by consensus and approved by a recognized body (such as BSI, ANSI or ISO). Each standard is kept current through a process of maintenance and review whereby it is updated, revised or withdrawn as necessary. The ISO Technical Committee for ISO 19600 relating to Compliance Management is preparing to discuss whether a revision of this standard should take place and, if so, how it can be improved. The International Standard ISO 19600:2014 Compliance management systems – Guidelines were published in 2014 as a Management System Standard. The standard does not specify requirements, but provides guidance on compliance management systems and recommended practices. ISO 19600 can be used by numerous standards covering Risk, Information Technology, Business Continuity and Resilience Management to identify just a few. The guidance it provides is intended to be adaptable, and the use of this guidance can differ depending on the size and level of maturity of an organization’s compliance management system and on the context, nature and complexity of the organizations activities, including its compliancy policy and objectives. You do not need to be a user of ISO standards either as the flexibility provided through the guidance can help with other processes or management systems. ISO 19600:2014 is based on the principles of good governance, proportionality, transparency and sustainability. The deadline for completing the survey is Monday 16th April 2018. ISO 31000, the international standard for Risk Management - ‘Risk Management – Principles and Guidelines’ - is now available for public consultation. The decision to review ISO 31000 was taken at in Chicago in 2013 and now, 4 years later, a draft version of the proposed updates to the ISO 31000 document is available for users to see. The next steps will be a review of the comments submitted that will modify the text further and then a ballot by ISO members to move to the final publication. The next ISO meeting is being held in San Francisco in July 2017 and this suggests publication of the revised risk management standard perhaps early in 2018. BSi has just published the UK edition of the recently released ISO Technical Specification 22318 Guidelines for Supply Chain Continuity. The title describes where this document fits in with the established BCM standards 22301 and 22313. A technical specification is not a full standard; its purpose is to amplify not undermine the established standards. Every organisation has a supply chain which may range from the purchase of basic resources to complex outsourcing arrangements for the delivery of a core service including both external suppliers and internal support such as the provision of IT services. Each of these arrangements presents a risk to the organisation if it is unavailable, which needs to be properly understood and appropriate contingency measures put in place to protect against disruption of that product supply or service. 22318 provides guidelines on how to manage Supply Chain Continuity challenges. The scope of this Technical Specification was deliberately constrained. It considers specifically the issues faced by an organisation which needs continuity of supply of products or services to protect its business activities and the continuity strategies for current suppliers which can be used to mitigate the impact of disruption. Ø Policy and strategy which considers the requirement for supply chain continuity and the parameters each organisation should define to frame its approach to SCCM. Ø Analysis of the supply chain which draws upon the organisation’s BIA to identify critical activities or processes and focusses on identifying the particular risks and impacts to these processes arising from disruption in the associated supply chain. Ø Consideration of appropriate and achievable Supply Chain Continuity strategies which can help to mitigate the emerging risks and identify an approach to manage disruption. Ø Planning to manage a supply chain disruption event and the requirement to integrate this with BC plans. Ø Ongoing performance management to maintain an appropriate level of continuity management within the supply chain and deliver continuous improvement. Effective SCCM generates its own challenges for an organisation, it may impact procurement strategies as continuity requirements may be contrary to strategies of minimising supply chain cost. The process of analysis should bring a focus onto the pressure points, for example where a critical process is dependent on a single supplier, and allow the associated risk to the organisation to be recognised and managed. A key approach is to encourage openness between an organisation and its critical suppliers delivering better understanding of each other’s priorities and risks and integrated continuity planning. This leads to continuous improvement and reducing risk. SCCM is relevant to organisations of every size and type, TS 22318 focusses on a key aspect of managing the risks in the supply chain. As an ISO document it is available as reference to support global supply arrangements helping the purchaser to define its continuity requirements to be included in contracts, monitor suppliers’ continuity provisions and be prepared to manage the impacts of disruption. The hope of the project team who worked on this document supported by the contributions from many global standards organisations is that PD ISO/TS 22318 takes another step towards improved global continuity and resilience. Duncan Ford led the development for ISO TS 22318. He is a partner in Corpress LLP a consultancy working in the areas of risk, response and resilience including supply chain analysis.